Density means many things to many people. For those in our greenfield developments it might mean smaller yards as we achieve more units in the same amount of space. For those living in higher density areas it can mean additional services as more people create the demand for things like grocery stores and dry cleaners closer to where the people are. Most agree it can bring more cars but it is important to note that higher density actually creates fewer cars per household. So kind of like thanking people who take public transit when you are driving to work, please thank those folks living in the high density neighbourhoods as well. It is important to remember that as the number of people living in each household has dropped considerably over the past decades the population in our established neighbourhoods has also dropped. We are just now beginning to bring people back to these areas. This is our challenge as the city ages. Bringing density into established neighbourhoods and finding a way to allow our rapidly aging population to age in place, in the suburbs. These are just a few things to think about when talking density. Let's focus on the outcomes - not the numbers. Another great night as Baconfest resumed last night with 200 in attendance, bringing our total close to just over 1300 so far! Additionally, twenty cycling enthusiasts braved a brisk ‘Baconride’ through the downtown pathways last night en route to participate in Baconfest. The turnouts for Baconfest are great and they demonstrate a public appetite to have these candid discussions about urban development. This success can only carry forward if many people choose to become engaged beyond watching the films. 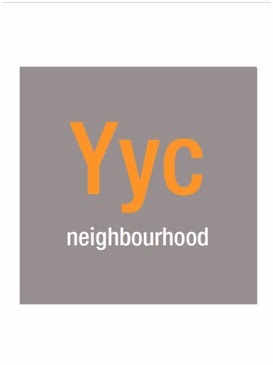 This is why we have created the Yyc neighbourhood initiative, which includes our 1,000 friends of YYC campaign. We want 1,000 people to sign up and let us know they want to be a part of positive change. Be a part of determining how this city will grow.